Hi Everyone. I just wanted to write a quick post and let you know that I haven’t disappeared off the face of the earth, though I am on Cloud 9! Last Friday my wife and I had our third baby. She and mom are doing very well. The baby’s name is Charlotte and she is an adorable baby. Hola! Welcome back to Boards & Barley for an awesome Cinco de Mayo! 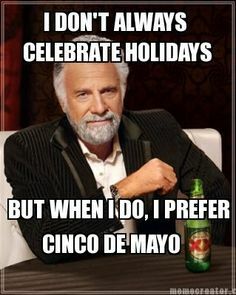 According to Wikipedia, Cinco de Mayo is also known as El Dia de la Battala de Puebla (Day of the the Battle of Puebla). It celebrates the Mexican army’s unlikely victory over the french forces at the Battle of Puebla on May 5th, 1862. Now we commemorate by eating lots of chips, salsa, and guacamole and enjoying oversized Margaritas. Bummer… now I’m hungry for quacamole. I had never had the Karmeliet Tripel before, which is a travesty for someone like myself who really enjoys the Belgian Tripel variety of beer. The new local establishment that I keep mentioning had this on tap and served it in the glass shown in the picture. It was an excellent beer and I would definitely enjoy it again. NEW! Duchesse de Bourgogne – Another amazing Belgian Beer! I think I could easily get by with Belgian beer if it were the only country from which I could enjoy beer. No spotlight this week. I played a few games but would rather just list them. Crokinole – Played with 4 players (6 discs each). We added a cool scoring rule where you score 10 points for each opponent’s disc that you knock out of play. However, if your disc also goes out of play on the same flick then it is a scratch and you do not get the points. This added a fun level of play to the game. Unpublished Prototype – This is a four player 4 card game that I don’t want to say too much about other than it is really awesome. Unpublished Prototype – I played a friend’s co-op game about healing patients. This game was very enjoyable and had an interesting and dynamic time aspect. Unpublished Prototype – This was a stock market game that had some interesting elements and worked well. I sure would love to see a different theme, though. Forbidden Island – I played with my kids and we lost on the VERY FIRST flood card (Fool’s Landing). I’ve never lost that quickly. You’ve technically only got a 19% chance on losing on the first draw of flood cards (16.7% on first card). And those percentages are ONLY if Fool’s Landing was one of the first six flood cards during setup. After we lost we reset the board and played again. But my kids lost interest before we could finish even though we had three treasures and a very good chance of winning. I worked on Brooklyn Bridge this week. However, I have a problem in that there are about four different routes I would like to try with the design. I have several large changes that I would like to get playtested, which means my road to a “completed” game is going to be a much longer one that it was for Scoville. That’s fine though since I think this game has a lot of potential. Currently, however, it is more “Large Chunk of Stone” rather than “Finished David Sculpture.” I’ve just got my work cut out for me. I also really want to dive into the design for Armada Galactica. I’m holding back on this because I don’t want to get into a cycle of 50% completed games. I’d rather keep my focus on Brooklyn Bridge and get that to the state where I could show it to a publisher with confidence. Sorry Armada Galactica… you’ll have to wait. Also, I came up with what I believe could be a REALLY interesting tactile abstract game. I think this has the potential to be in the Qwirkle or Ingenious realm so I’m not going to give away any details just yet. Unfortunately this too will be waiting in the design queue for Brooklyn Bridge to progress. Alright everyone. Thanks for reading! I hope you enjoyed some Boards or Barley last week. If you tried something new that was awesome, let me know!